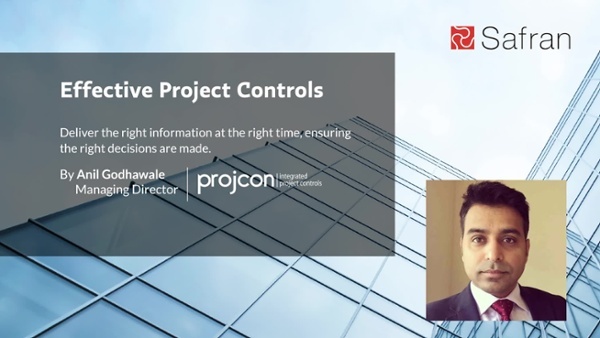 In our latest video, Anil discusses his experience of using Safran Risk to give a large rail company confidence in its project completion dates – click below to view. If you'd prefer to read instead of listen, we've provided the full transcript below of the video below. I'm Anil Godhawale, the Managing Director of ProjCon Consultants. We offer a range of project controls advisory and consultancy services in addition to the training we recently started. In this session, we're going to talk about one of the recent case studies we have done on a QSRA (Quantitative Schedule Risk Assessment) for one of our manufacturing clients to give them visibility and timelines for a major project they were working on. Let me begin with the client’s problem statement. The project was continuously getting delayed. 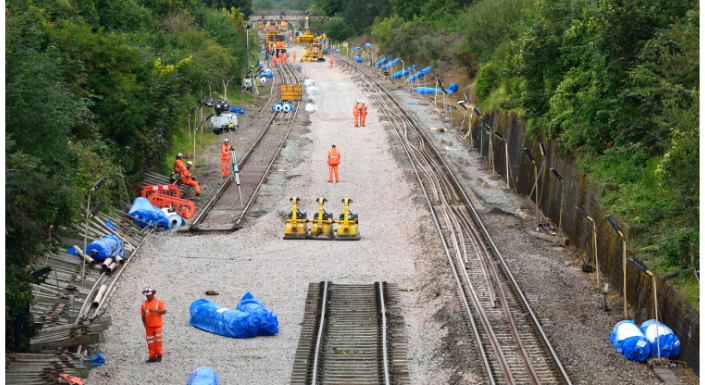 It was a rail manufacturing project in the UK. The client wasn't having enough visibility on actual completion dates, the risk exposure wasn't known, and there was also a lack of visibility on opportunities that could possibly improve the schedule. They were all exhausted. So, the client called and asked us to help them out, and focus especially on getting some visibility on the dates to allow them to have some confidence. We suggested to perform a QSRA and mature their current risk management process. We adopted a standard approach to this project, which included ‘preparing, positioning and planning’ (and we will talk about this in a minute). Following that, some workshops and reviews, then executions, which includes the actual work, then some modeling and finally QA and the reports. The very first element, which was ‘prepare, positioning and planning’, includes ensuring that we've got the baseline scheduled from the client and it has combined from all the stakeholders and then we also issued them a basis for a RAS which we wanted to build. The RAS is basically a Risk-Adjusted Schedule. We would like to give enhanced visibility to the client on what the criteria we would be requiring to be followed for building the RAS schedule. We also helped them understand the process of building the RAS schedule and how we are going to do the whole structural QA and then how we can map against the risks. This was initially an introduction session to prepare the client, to position the client and overall planning the effort. Once this is done and the client has got a similar understanding of the overall process as we have, we conducted the risk workshop and the RAS workshop to build a RAS schedule as well as to build, or in this case mature, the risk register. Once this was done through a series of workshops, we then built the RAS and ordered a proof from the client and we matured the risk register, we identified all the critical paths and neocritical paths, and risk associated with it. And, finally, during the enabling process we aligned or mapped the risks to the RAS and after that we did the modelling QSRA modelling, and performed an analysis and did the QA (quality assurance) on the results and shared the outcome with indicative view of timeline so that client started after the QSRA report and during that time the client was given a much more detailed insight on how this result was achieved. Once they were satisfied, they approved the QSRA report which was then finally submitted for publishing. In this exercise, we felt that the client benefited significantly in getting the confidence on some of the dates they would like to see, and the whole objective was successfully achieved. Now I would like to take the opportunity to thank Safran Risk which has helped us greatly in conducting this effort, especially the QSRA modeling and analysis, and I am taking this opportunity take you through some of the benefits we have found in Safran Risk while being on this project. The very first one I would suggest is the schedule check. Safran Risk has a very, very user-friendly schedule check which is done automatically, and you accept whichever you are comfortable with. In traditional risk software, you must press the button to conduct schedule checks which pop up in a separate window and at times you could miss or basically ignore this. The next benefit I would suggest is the correlation in schedule checks which helps to a large extent with merge bias. Safran Risk handles correlations much better than traditional risk software, and correlations can have a significant impact on the analysis results and particularly we found this extremely helpful for us as it pushed us in the right direction. I’d like to mention the sensitivity analysis which can be done in traditional risk software but takes a long, long time and is thus more susceptible to human error. I think drivers report in the Safran Risk is much better, and much faster, and much more efficient. Reporting is a key element for any risk analysis which you would do and like traditional risk software, Safran Risk offers all key reports on distribution graphs, distribution analyzers, tornado charts & scatter plots. However, some additional features such as tables for P80/P50 are an extremely good value-add. Although we did not use the weather modeling in Safran Risk for this opportunity, I found this a very unique feature they have included which would be really, really beneficial for projects which are affected by the weather. I mean, I have not seen it yet in any of the risk software so I would definitely say it is one of really, one of the key beneficial points they’ve got. Another benefit which we found was the calendar risk. Usually, this slows down the risk modelling process, makes calculations take longer, and we often struggle to apply multiple points in the calendar. I personally feel that the Safran Risk has handled this in a much more better way, and we could easily see the difference between Safran Risk and the traditional software we have been using till date. The next one is a very technical one, which is on “absolute” and “relative” risk. I have found that in the Safran Risk, a risk can be put down as a relative risk (percentage) or absolute (days) which is really beneficial. In traditional risk software, you can introduce a risk as “discrete” but then there is a risk of it being counted as an absolute. Safran has addressed it in a very nice way. Regarding mapping screens, this makes assigning risks to schedule activities significantly faster and simpler. Safran risk is visually more clear than traditional risk software where this process is convoluted and it is very hard to see what is affected by what. The scenario analysis is excellent in Safran Risk which includes a full scheduler, and it does allow interactive, real-time scenarios to be run. We have benefited greatly with this particular feature. And finally I would like to highlight the distribution comparison which can run trending reports not possible in traditional risk software, and I think this is a very helpful element in conducting the risk analysis. So there is a range of benefits which we have found with the Safran Risk and I think we made the right decision in choosing this tool for conducting risk analysis for our key client. Thanks again to Safran Risk. This is Anil Godhawale, Managing Director for ProjCon consulting. Thank you.